Anton: "Laguna Colorada, also known as the Red Lagoon, is located in the southwestern part of Bolivia near the border with Chile. 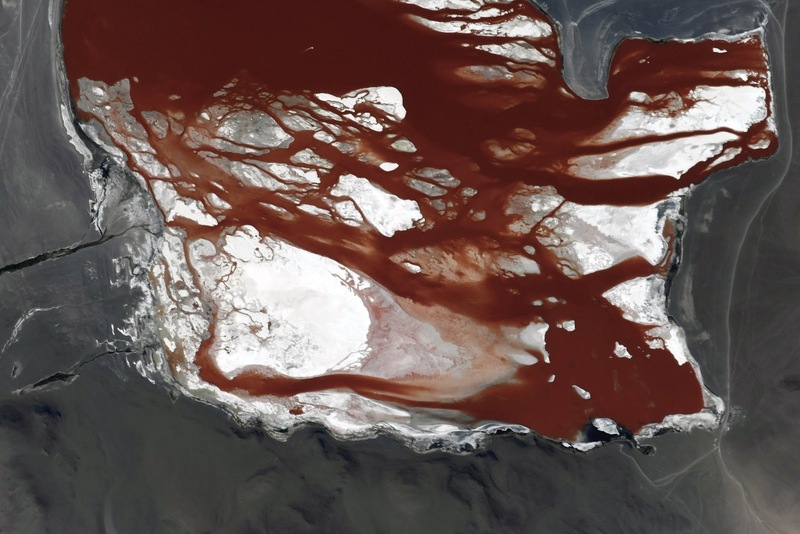 The red color of the water is due to sedimentary rocks, as well as the pigmentation of algae growing there. Our planet does not cease to amaze!" Anton is a Russian cosmonaut. Former colonel of the Russian Air Force—fighter pilot. Experience: International Space Station Expeditions 29/30 and 42/43, 54/55.